With Ad Hoc Reports, users have the ability to craft their own reports to show specific information that is most relevant for them. 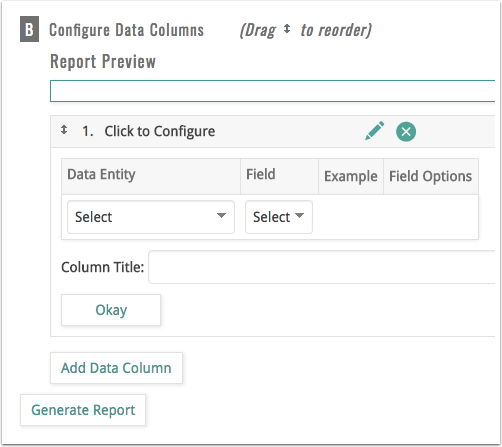 After spending the time to create the exact report that is desired, users can set them as quicklinks for easy access at a later date. What kind of questions can an Ad Hoc Report answer? 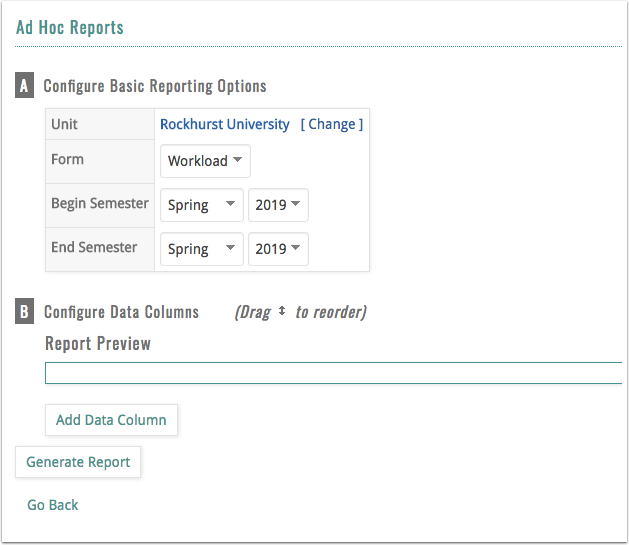 The power behind Ad Hoc reporting is that it can show a lot of different information and can also display the titles in ways that are needed for specific needs. What fields are available for Ad Hoc Report? 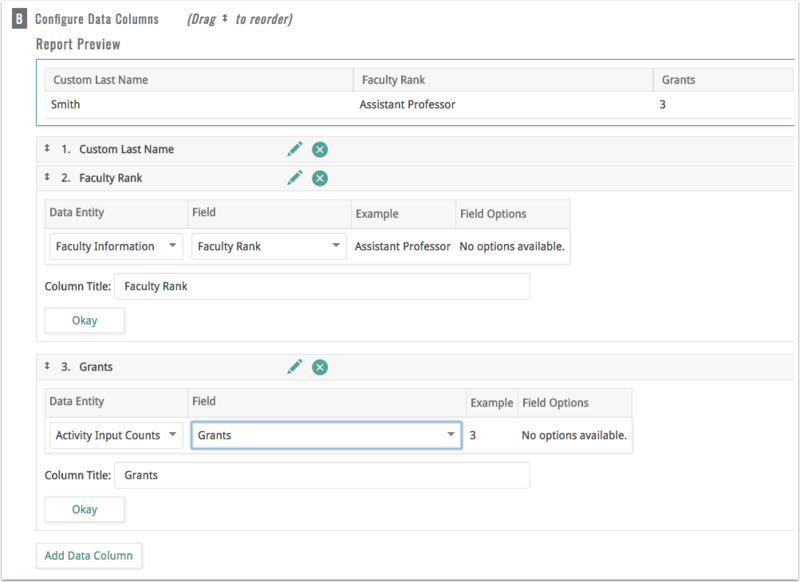 While making selections for the fields, from left-to-right, the next field will populate with new options to select in order to generate the exact column you want. When you make a selection, you have the ability to name the column whateer you like with the 'Column Title field. 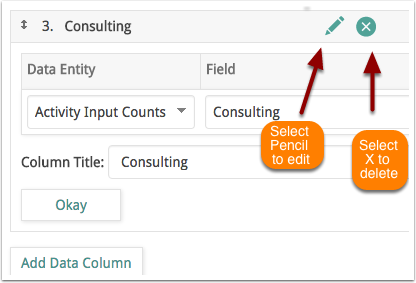 Click Okay to insert your custom field and add another by selecting Add Data Column again. Select the Edit Pencil symbol to edit the field again. 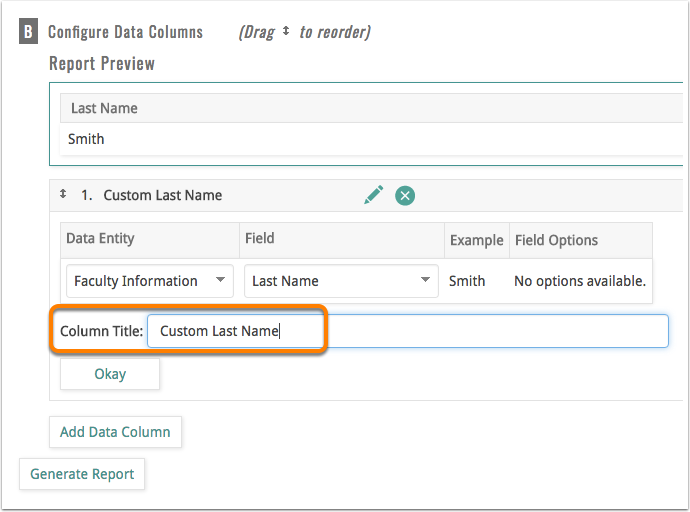 By selecting Add Data Column multiple times, you can add more than one empty field to customize.